"Build & create your own city of restaurants!" Game Goal: Manage an island where you must build a city full of restaurants to make your business grow as much as possible. 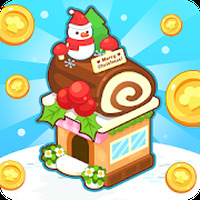 How to Play: In addition to restaurants you must also build food-related buildings such as bakeries to make customers buy more and earn more money to spend on improvements. Graphics: Very colorful characters and objects which will catch your attention. Game play: It includes a useful tutorial to learn how to play. There are also tons of missions to complete along the game. Languages: Dutch, English, French, German, Bahasa Indonesia, Italian, Japanese, Korean, Portuguese, Russian, Spanish, Thai, Turkish, Vietnamese. Do you like Restaurant Paradise: Sim Game?